Most of us have gone or will be going 1:1 soon. 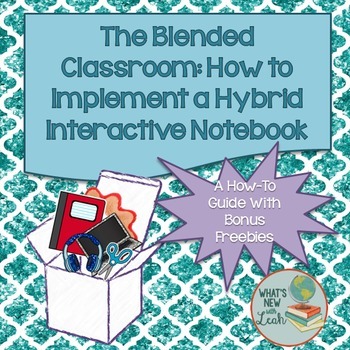 This handbook guides you through the basics of implementing a blended classroom—a hybrid digital and pen and paper. There are great insider tricks here that will save you time and paper, but not at the expense of best practices. 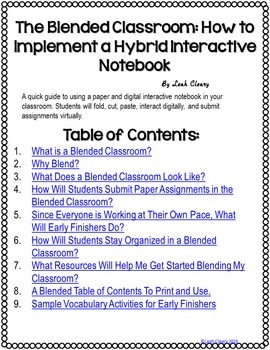 ☑ A guide for implementing a blended classroom. ☑ Ideas for merging the digital world with the pen and paper. 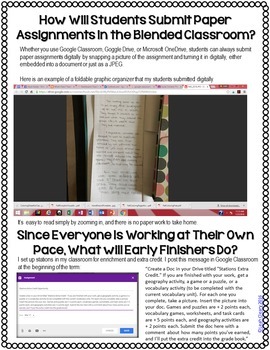 ☑ Sample activities for stations in the blended classroom. 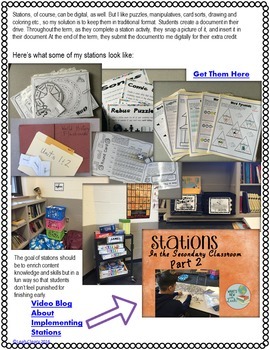 Get free resources and blog updates HERE!